Erik is the Chief Investment Officer of Hamilton Lane, an independent, employee-owned provider of discretionary and non-discretionary private asset management services to institutional investors worldwide. At Hamilton Lane, Erik is responsible for managing all of the firm’s investment and research activities, as well as chairing the firm’s Investment Committee. Erik is a frequently quoted expert on the private equity industry, both in the print and broadcast media. 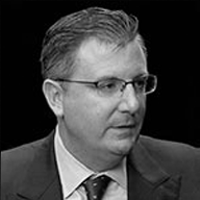 He also serves on the advisory boards of several leading fund managers on behalf of Hamilton Lane and its clients. Further, Erik serves on the board of iLevel Solutions, Inc., representing Hamilton Lane’s strategic interest in the company. Prior to joining Hamilton Lane, Erik was a corporate investment banker in the Mergers & Acquisitions department of Brown Brothers Harriman & Co. He began his career as a municipal financial consultant with Public Financial Management (PFM). At PFM, Erik specialized in asset securitization, strategic consulting and sport stadium financings.Erik currently serves on the board of Philadelphia’s Mural Arts Program. Erik has a B.A. from the University of Virginia.